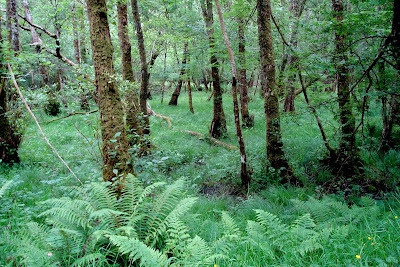 Killarney in County Kerry was home base for us. We stayed a whole week in a cute house in a real Irish neighborhood, which is kind of remarkable, considering that Killarney is about as touristy as it gets. 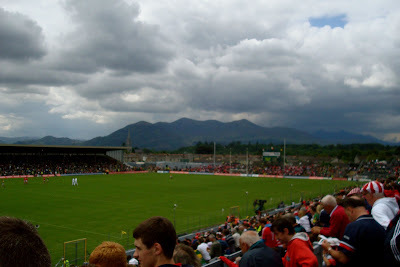 Our first day there, Kevin and my dad and brother got to go to a Gaelic Football game between Kerry and Cork. 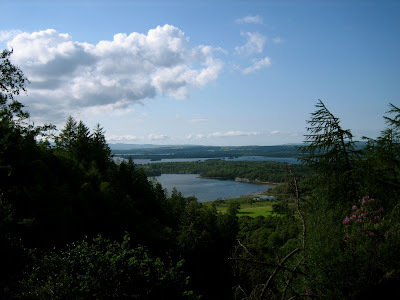 The town sits on the edge of Killarney National Park, which is one of the most beautiful places I've ever seen. 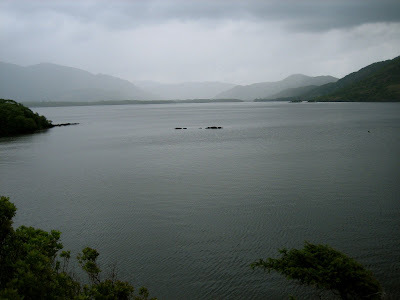 It is mountainous and green and spanned by two huge lakes. 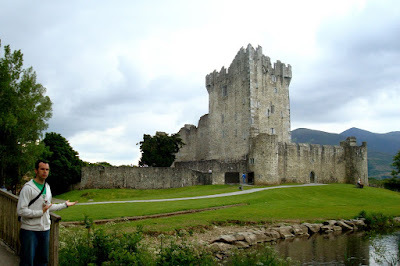 We had a great time touring Ross Castle, which has been beautifully restored. 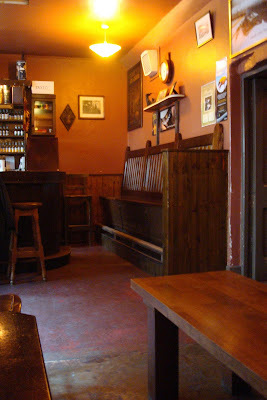 It was built in the 15th century by the O'Donoghue chieftains. Pretty sweet, huh? The inside of the castle was nothing like you'd imagine a typical castle based on the movies. Apparently, everyone but the lord and lady of the house sleep in the rather small main room, and there is one extremely narrow staircase that connects everything. My history-buff hubby loved it. The weather was so perfectly Irish--misty, gray and cool. 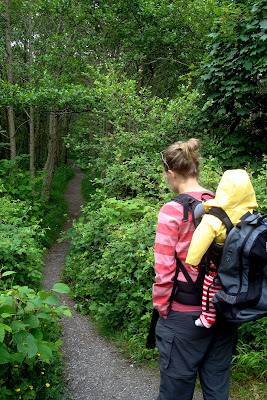 We went for a long walk through dense forest and along rocky outcroppings. 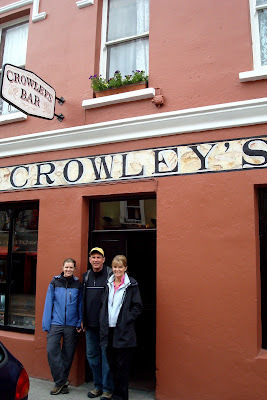 Later that day we headed twenty minutes south to Kenmare expressly to visit Crowley's Pub, which was recommended in one of our travel guides. It was so trippy; the owner of the pub was a Crowley, of course, and he looked exactly like my cousin David. I kid you not. This place was awesome. 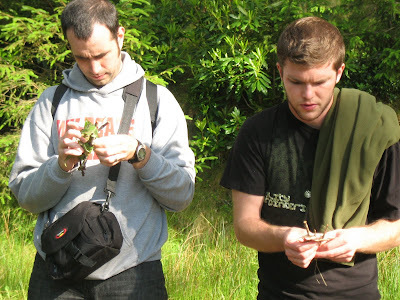 On another day trip, we took a crazy hike up the side of a big mountainside. It was worth it. Kevin challenged Evan to a boat-building contest on our way back down. I love his creativity about that kind of stuff. Next up: Dingle (my favorite day!! ).